I have been playing and chasing music most of my life. I opened many musical doors and finally in 1990 opened the right one, old time music. 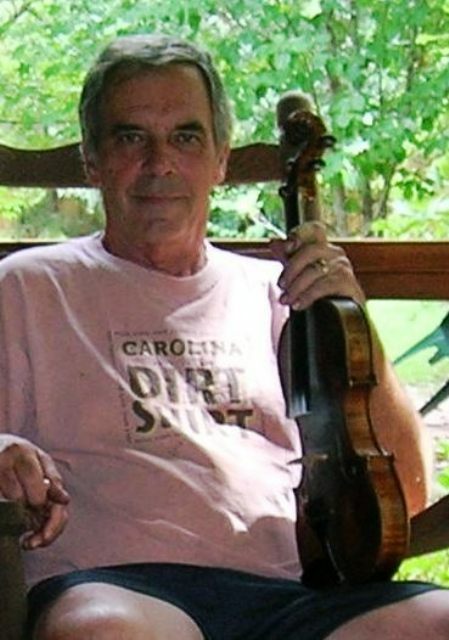 I traveled south every summer for 10 years to attend the Swannanoa Gathering learning to play and understand old time banjo and old time music. I learned many different styles of playing and over those years and was encouraged to create a personal style. I have been associated with 3 bands, Wild Hares(NY), Jake Leg Wobbler (MA) and the Booger Holler String Band (FL). I have won 1st Place in Old Time banjo, at the Western New England Old time music Championships and Banjo and Fiddle contest at Lowell MA. I came to old time music late in life. My music background was in 3 finger folk guitar. Contemplating retirement, learning banjo was on my "to do" list. Took a couple lessons in Bluegrass, then Kay & Tom came to visit. 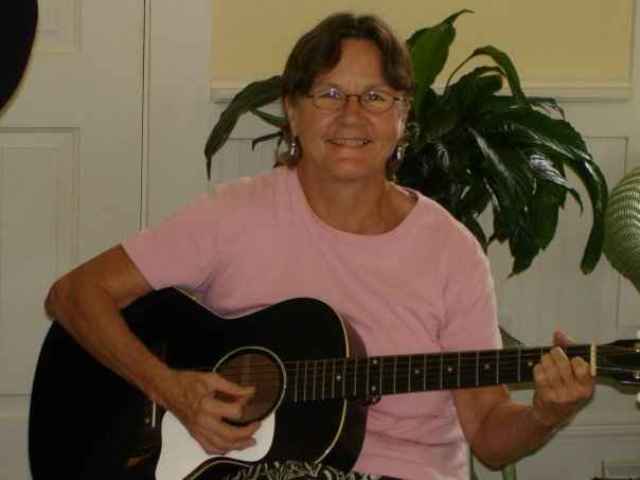 Kay played "Cluck Old Hen" clawhammer style and I was hooked. No one in my hometown played that style so I learned it piecemeal from friends in NC and by tape. Began fooling around with bass then and sat in with Tom, Kay and Bob when we got together twice a year. One year at Fla Fiddlers Lyda & Clare joined us for a pickup band and the current Booger sound came alive. We won 1st place and never looked back. Like fine red wine, good cheese and classic old time mountain music, we get better with age. 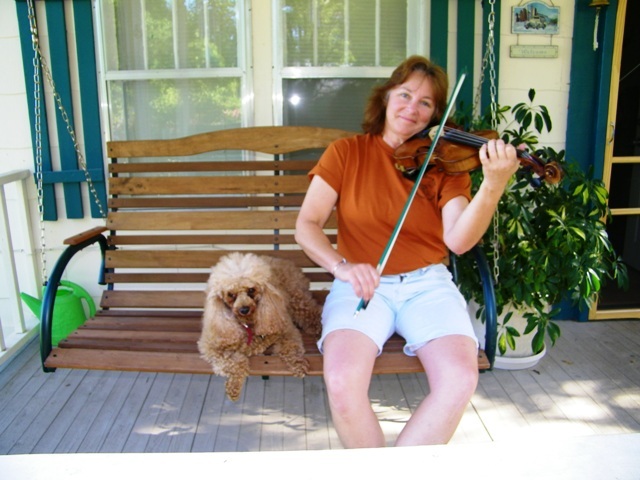 I first experienced Old Time fiddle music in 1979 while a student at the University of Florida. I fell in love with the energy of the music, and the community of people who gathered regularly to play and learn together. I went out immediately and bought my first fiddle, (a real klunker,) and have not stopped playing since. I am grateful to my friend Bryan Newkirk for giving me his 1937 German fiddle which I cherish, and to all of my music friends for uncountable wonderful memories. I grew up in southeast Baltimore listening to hillbilly music in the 1940’s and 50’s, Hank Williams, Patsy Cline and all the greats. 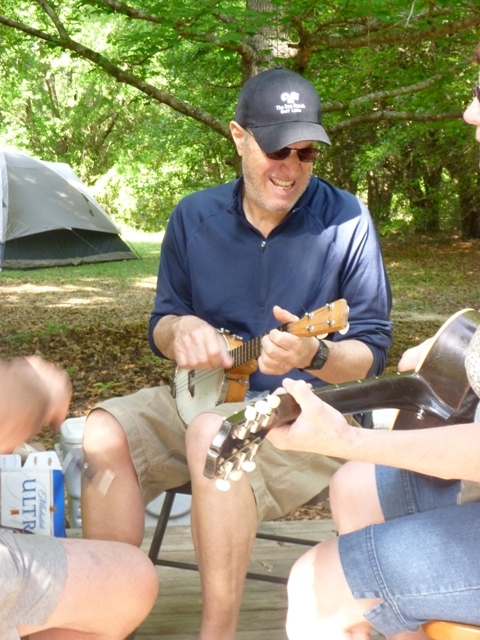 When I moved to Gainesville, Florida in 1981 I met Tom Staley and Alexa Jaffurs who introduced me to old time music and have been playing ever since. Once a week I would strap my banjo to the back of my bicycle and ride over to Alexa’s house for a lesson. Tom was my inspiration for taking up the guitar. I heard old time music and fell in love with the fiddle and the people. I got my first guitar when I was ten-years-old . . . a $25 Sears model. I learned a bunch of different styles of music on it, until one day my Dad brought me home a banjo. I’m still not sure why he bought it, but I’m glad he did. I was about 15 at the time, and that banjo opened up a whole-nuther world of music for me. After playing bluegrass for several years, I met Tom and discovered old-time music. Don’t stick this music in a museum . . . it belongs on a dance floor and in your living room. Roll up the rugs and let’s dance! Booger: Slang, bogeyman. Chiefly South Midland and Southern U.S. any ghost, hobgoblin, or other frightening apparition. Holler: As a noun, holler has the specific meaning in the Appalachians of "a small valley between mountains". While driving through the mountains of North Georgia (on our way to a music festival) we saw a street sign - Booger Holler Road. A Georgia native we played music with at the time told us every town in Georgia has a Booger Holler. Apparently it's not somewhere you want to live if you believe in ghosts, but we liked the name, just the same, so we adopted it as our own (and it keeps casual visitors few and far between!). Come on out and visit us in the Holler . . . if you dare!